Don’t you just want to eat something so deliciously powerful, it can cure a hangover but also be good for you? How about a Jalapeño Popper. They have a spicy kick, rich, gooey cheese, and none of the bar food high-carb trappings of the poppers you get at your local pub. These little cuties are not deep fried in gluteny batter, but instead are topped with a coating of seasoned almond meal and baked in the oven. You won’t miss the batter. Preheat oven to 350 degrees. Lay jalapeño halves on a foil lined baking sheet. In a mixing bowl, fold in bacon pieces, cream cheese, shredded cheese, and garlic salt. Spoon into jalepeño halves until distributed evenly. In smaller mixing bowl, whisk together topping ingredients–almond flour, ground cayenne, salt, and garlic salt. Sprinkle evenly on top of cheese filled jalapeño halves. 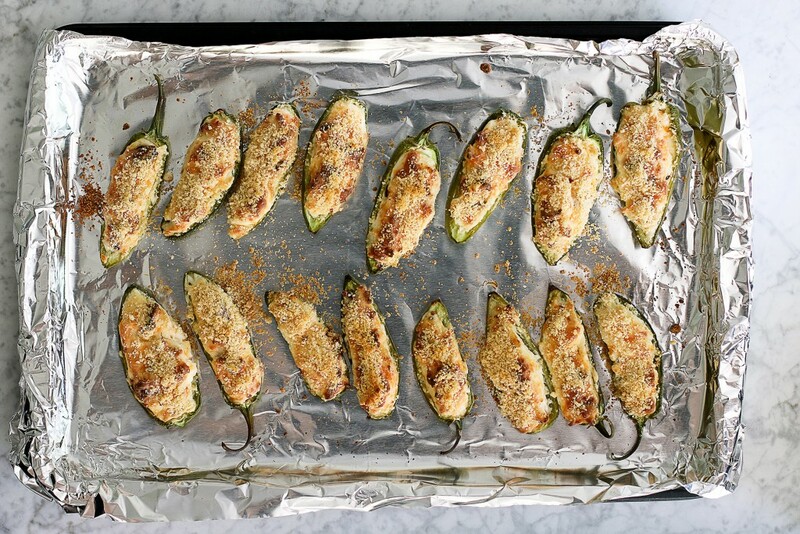 Carefully place baking sheet of filled jalepenos into the oven. Cook for 20 minutes, then turn up oven heat to 400 degrees, cook for 20 more minutes, or until jalapeños look soft and the tops are a golden brown. What is almond meal? Is it different than almond flour? Almond meal and almond flour are pretty much interchangeable, but they’re basically ground up almonds. It makes a fantastic flour substitute and can be found at any grocery store in the baking aisle. Thanks for stopping by, Philip? Easy and delicious! Great recipe! These are so good. They have become a staple appetizer for company. We live on the coast and love shrimp, so we cook shrimp, cut them into smaller pieces and add them into the mix. We also are able to get giant jalapeños and stuff them with the filling. I probably make them at least twice a month. The ones that are leftover, become my lunch the following week. 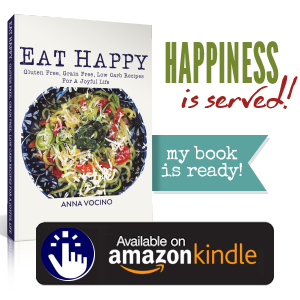 Thank you for all of your hard work and dedication to giving us wonderful NSNG recipes to live a more healthful lifestyle. I love it, Gina!! Thanks so much for stopping by, your kind comments just made my day! Do you have the net carbs, and other nutrition info per serving? Thank you! I don’t do net carbs since I don’t count carbs. That’s the philosophy behind NSNG (No Sugars No Grains) invented by Vinnie Tortorich who I started a podcast with 6 years ago. http://www.vinnietortorich.com It’s a lifestyle not a diet, so I’m trying to help people get away from counting. I did it for years as a former anorexic and serial dieter. 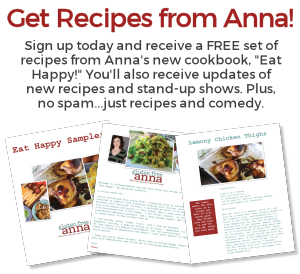 More info is in the intro pages of Eat Happy cookbook. If you desperately need the info, you can copy and paste the ingredients in the recipes into many online sites that will instantly calculate macros and calories for you.